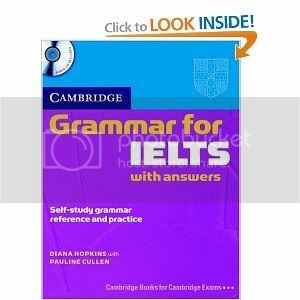 [share_ebook] Cambridge Grammar for IELTS Studentâ€™s Book with Answers and Audio CD | Free eBooks Download - EBOOKEE! Posted on 2011-09-22, by downUp1st. Cambridge Grammar for IELTS provides complete coverage of the grammar needed for the IELTS test, and develops listening skills at the same time. It includes a wide range of IELTS tasks from the Academic and General Training Reading, Writing and Listening modules, and contains helpful grammar explanations and a grammar glossary. A Studentâ€™s Book â€˜without answersâ€™ is also available. No comments for "[share_ebook] Cambridge Grammar for IELTS Studentâ€™s Book with Answers and Audio CD".